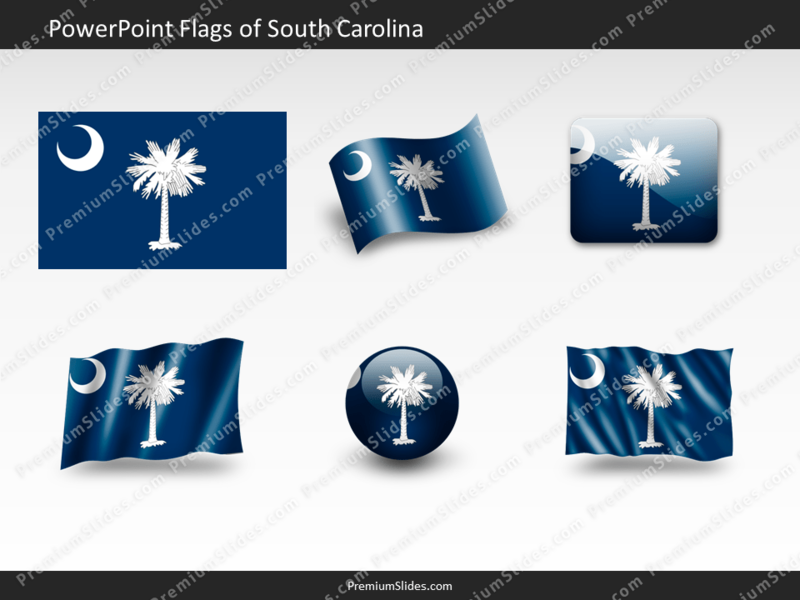 Download this free South-Carolina Flag PowerPoint template for your presentation. Six different flag versions are included. Please select your license and download slides immediately. Download this free South-Carolina Flag PowerPoint template for your presentation. Six different flag versions are included. Just copy and paste the desired flag in your company slides. Easy resizable for any purpose.